Visual acuity is essentially the clarity and sharpness with which you see things, i.e. how well you can see. It is a measure of how well your eye and your brain can distinguish spatial resolution. It is one of the ways that visual function is measured. Other ways of testing visual function include visual fields, color vision and contrast sensitivity. Visual acuity is sometimes also referred to as Snellen acuity. In 1862, a Dutch ophthalmologist, Dr Hermann Snellen, designed the Snellen chart (example right) as a way of testing acuity. Most charts have a series of alphabets or numbers, with the largest at the top. As you read down the chart, the letters gradually become smaller. There are some variations to the Snellen chart. For instance, the Tumbling E chart is useful for those who are unable to read. Instead of alphabets or numbers, the Tumbling E chart has the capital letter 'E' facing in different directions. The person tested has to determine the direction the letter 'E' is facing on each line. In the research setting, the LogMAR or ETDRS (named after the Early Treatment of Diabetic Retinopathy Study) chart has become the gold standard way of measuring acuity. 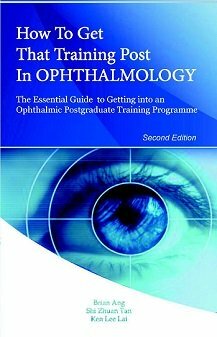 Its advantage over the Snellen chart is that there are 5 letters on each line, thereby reducing any effect from crowding and allows easier calculation of a visual acuity score. To measure your visual acuity accurately, certain conditions have to be fulfilled and standardized: contrast, illumination and distance. Contrast has to be maximized. The way most vision charts achieves this is to have black symbols on a white background. This is because it is easier to distinguish black from white, rather than black from a dark shade of gray. Having maximal contrast eliminates the issue of contrast sensitivity in acuity testing. Illumination of the object that you are seeing must be standardized. The room or area where you are having your eyes tested must be lit brightly enough for you to be able to see clearly. There must be sufficient light and brightness for the cone photoreceptors at the macula to be able to function at its optimum. On the other hand, too much brightness may introduce glare and affect the test. It has been recommended that a luminance level for acuity testing be equal or higher than 85 candelas per square meter. Distance must be standardized. For distance acuity, you will need to essentially be able to see at infinity, i.e. at an unlimited distance away. Conventionally, 20 feet or 6 meters is taken as infinity from an optical perspective. This is the accepted distance when measuring distance acuity. If you test your vision nearer than the stipulated 6 meters, the chart letters will appear larger and you will be able to read further down the chart (and that's cheating, by the way...). For near acuity (reading acuity), the distance is usually set at 16 inches or 40 centimeters. However, this is somewhat arbitrary because different people prefer to read at different distances from their eyes. As you grow older, your ability to accommodate and focus at near objects gradually decreases. This is called presbyopia. This is part of the normal aging process, even if you had perfect eyesight before that. You will find that in order to read clearly, the reading material has to be placed further and further away. This is usually noticed from the age of 40 onwards. If there is insufficient light entering the eye, such as in cataract, your acuity will be reduced. If your macula cone photoreceptor cells are damaged, such as in age-related macular degeneration, your acuity will be reduced. If your optic nerve is unable to carry the information from the retina to your brain, such as in glaucoma and optic neuritis, your acuity will be reduced. If your brain is unable to process information sent by your optic nerve, such as in a stroke, your acuity will be reduced. So as you can see, your entire visual pathway from the eye to the brain, needs to be in good working order for you to maintain good visual acuity. HOW IS VISUAL ACUITY RECORDED? 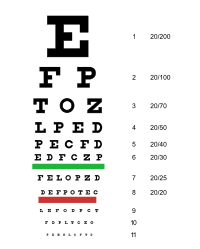 With the standard Snellen chart, your visual acuity will be tested at a distance of 20 feet or 6 meters. If you have vision equivalent to that of the normal average person, then your vision is 20/20 or 6/6. This means that you can see at 20 feet (or 6 meters) what a normal average person can see at 20 feet (or 6 meters). Many young people have vision that is better than 20/20. Conversely, if your vision is found to be 20/60 (6/18), then it means that you can see at 20 feet (6 meters) what a normal average person can at 60 feet (18 meters). 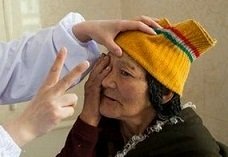 A vision of 20/200 (you can only see at 20 feet what the normal average person can at 200 feet) is the threshold for blindness or severe visual impairment in most countries. When the vision is so poor that even the top line cannot be read, then you can move closer to the Snellen chart. Typically, the distance can be reduced to either 10 feet (3 meters) or approximately 3 feet (1 meter). So if you can only read the top line at 10 feet, your vision will be recorded as 10/200 or 3/60. When the chart cannot be read even at closer proximity, it will be difficult to determine the exact visual acuity. However, acuity can be estimated with counting fingers (CF). One or two fingers are placed 1 meter in front you, and you will be asked to count the number of fingers that are shown (left). When even fingers cannot be counted, the next step is to test if the eye has hand movement (HM) vision. A hand will be waved in front of the eye and you will be asked if you see any movement. Light perception (LP) is used when vision is worse than hand movement vision. A bright light is shone on to the eye and you will be asked if any light is noticed. The eye is considered to be completely blind if it cannot perceive any light that is directly shone at it. In this instance, the vision is no light perception (NLP). There is no further test that can be performed to elicit vision from an eye that has no light perception. It is important to remember that the majority of people who are legally blind do not ever reach NLP vision.